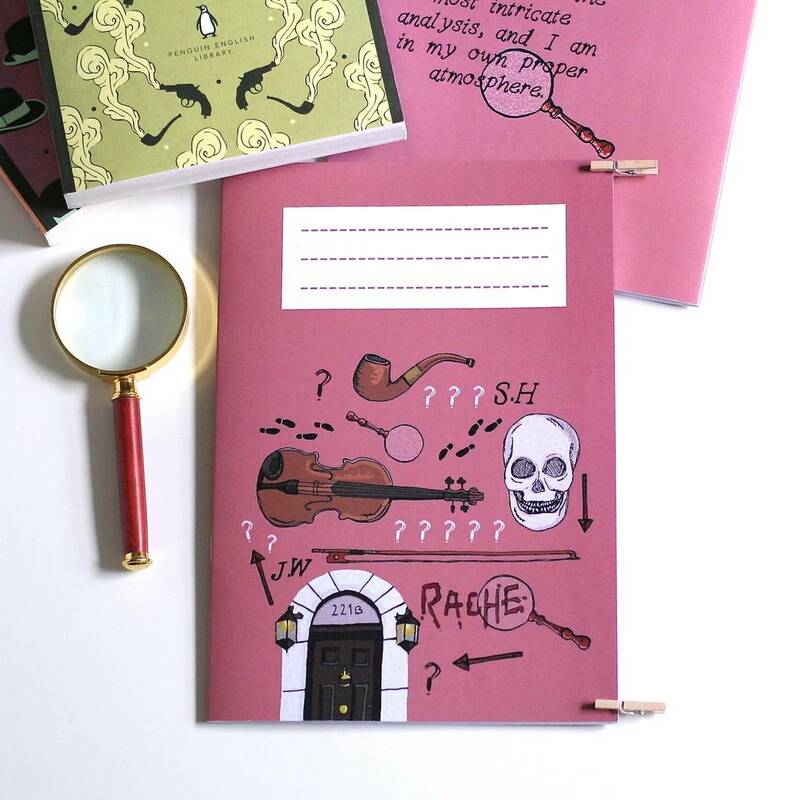 This pretty patterned notebook is covered in beautiful illustrations inspired by the classic Sherlock Holmes novels. 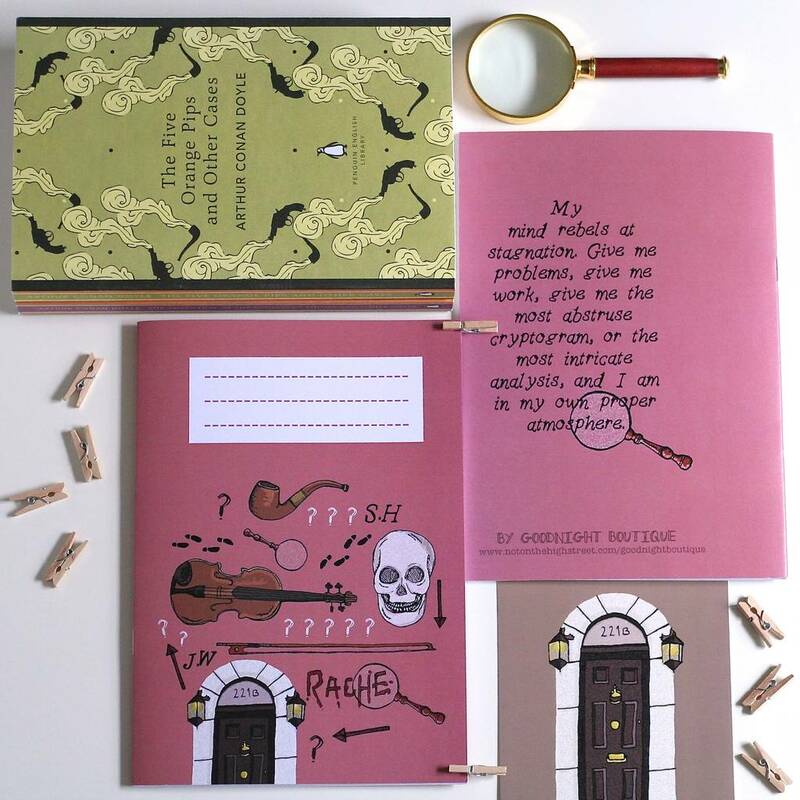 The orginal illustrations of 221B Baker Street, a magnifying glass, a violin, a pipe, footprints and more, fill the front of the notebook, whilst the back features the quote; "My mind rebels at stagnation. Give me problems, give me work, give me the most abstruse cryptogram, or the most intricate analysis, and I am in my own proper atmosphere." 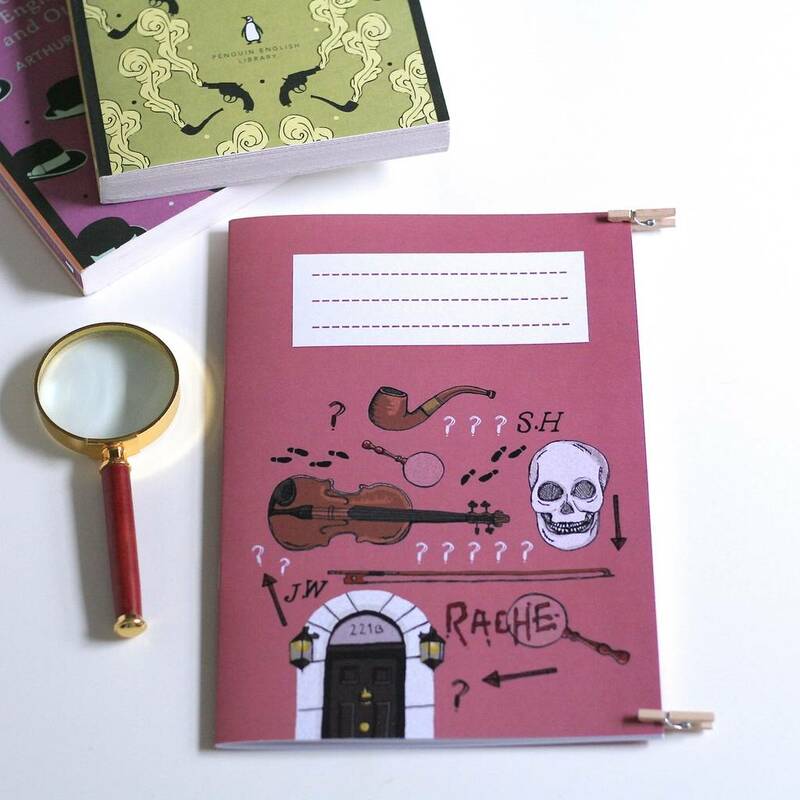 The inside contains 40 sheets of unlined white paper. Ideal for any any Sherlock Holmes fan, particularly those in need of a consulting detective, this notebook would be a perfect little gift for any fan of classical literature. Printed by a UK based eco-friendly printers, from my own beautiful drawings, onto a 300gsm 100% recycled matt card cover & 90gsm uncoated plain pages. 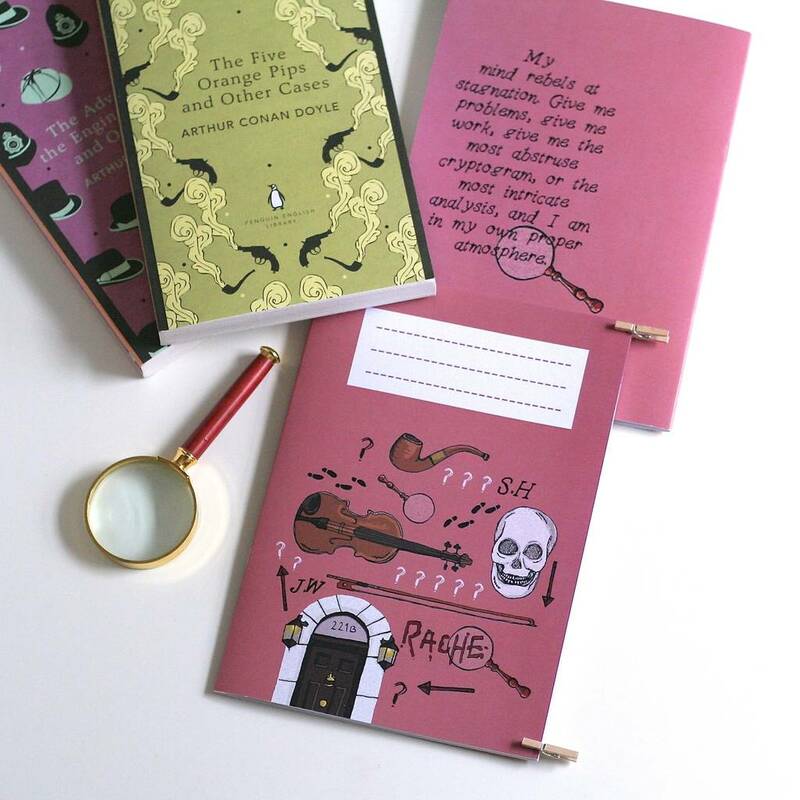 Your notebook will arrive, beautifully packaged, snug and safe, within a cellophane bag.